Mount St. Joseph’s Dont’e Thornton (with ball) does a celebratory jump-bump with teammate Kahri Barfield after Thornton’s 55-yard touchdown reception to open the scoring in Saturday’s football contest against Calvert Hall. The sixth-ranked Gaels handed the No. 4 Cardinals their first loss with a 21-7 decision in Irvington. After crossing the end zone for a touchdown in the first half Saturday afternoon, Mount St. Joseph High running back Marlowe Wax jogged back to the Gael sidelines. Once there, he turned to a classmate recording with a camera. “It’s easy,” the junior standout said. The motivated sixth-ranked Gaels put visiting and No. 4 Calvert Hall College in an early hole en route to a 21-7 decision in front of a huge Homecoming audience at John Pleyvak Field in southwest Baltimore. Wax scored twice for St. Joe (5-1 overall) and sophomore junior quarterback Billy Atkins threw for 269 yards. accounted for Calvert Hall’s only touchdown. The Irvington school’s offense constructed a 21-0 first half advantage and the defense applied the finishing touches, avenging a 34-0 loss to The Hall at Russo Stadium last fall. It was the Gaels’ first shutout defeat since 2014. The 34-0 result was on the Gaels’ scoreboard all week. 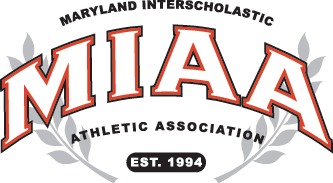 The Gaels held a shorthanded Calvert Hall offense to five yards and no first downs in the opening half. Junior defensive linemen Tyler Leavy had a fumble recovery and sack, and Wax recorded two sacks and an interception. While its offense has lived up to expectations, Mount St. Joseph’s defense has been just as impressive, allowing two touchdowns against MIAA A Conference foes Gilman School and Calvert Hall. Wax, who’s emerged as one of area’s most dominant two-way players this season, said the difference has been in the defensive backfield. “They come up to tackle more and our front eight is more stable,” said Wax, 6-foot and 215 pounds. After its offense failed to come up with points in a mistake-filled (eight penalties) 17- play opening drive, Mount St. Joseph’s defense quickly put Calvert Hall back on its sidelines with a three-and-out. The Gael offense was much cleaner on its next possession as Billy Atkins threw a 55-yard score to Dont’e Thornton, capping a five-play, 66-yard series. Mount St. Joseph took advantage of good field position (started at Calvert Hall 44) as Wax scored on a five-yard run with 7 minutes, 37 seconds left in the opening half. Wax waltzed into the end zone, completing a 12-play, 73-yard series, extending the Gaels’ lead to 21-0 with 20 seconds remaining in the first half. Calvert Hall, which lost starting quarterback Mike Campbell to a season-ending knee injury two weeks ago, got its first down early in the third quarter. The Cardinals put together a 11-play, 82-yard drive in the fourth quarter with Ray Glass scoring from a yard out. Glass, a junior, filled in admirably for starter Sean Tucker, who went down with a shoulder injury on the second play of the second half. The Towson school had 143 yards in the second half, but turned the ball over twice. Davis was pleased with his defense which held St. Joe scoreless in the second half. The 21 points Saturday was the fewest scored by the Gaels in a winning effort. Saturday’s performance was the Gaels’ final home game. Mount St. Joseph begins a four-game road stretch this Saturday at Loyola Blakefield. Mount St. Joseph’s Gavin Pringle (9) nearly came with an interception on a pass intended for Calvert Hall’s Cole Herbert. The Gaels limited Calvert Hall to five yards and no first downs in the first half, paving the way to a 21-0 halftime lead.